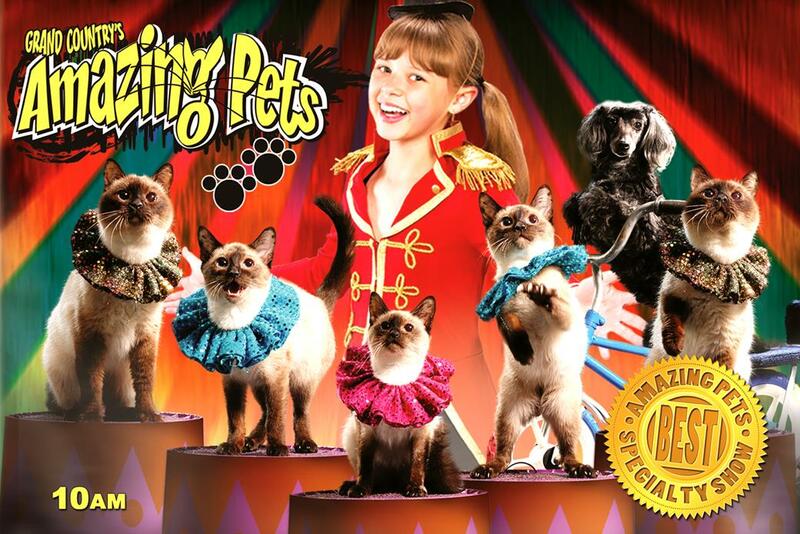 A high-energy morning show featuring LIVE trained animals! Audiences of all ages will love the fun and surprises that you will encounter in this exciting show! 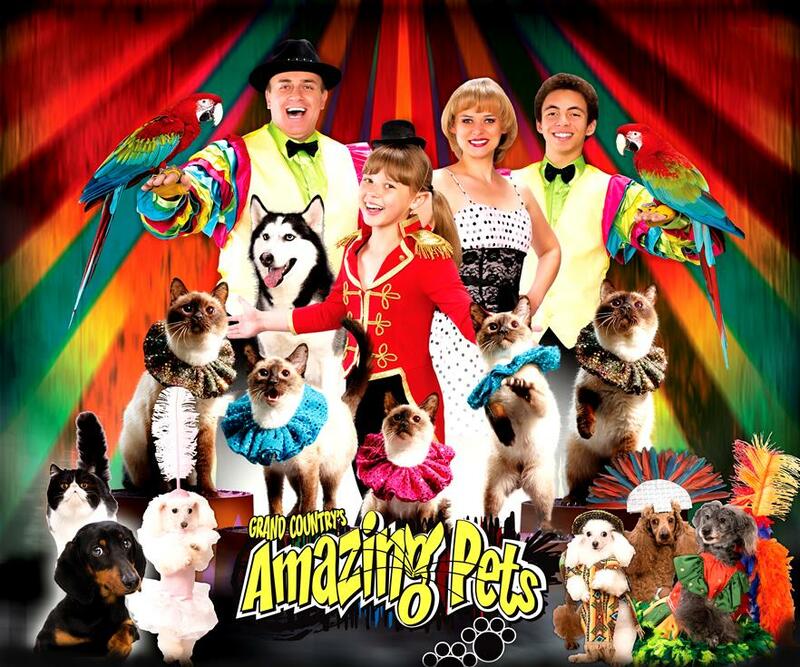 Booking tip: Amazing Pets is very popular, advance reservations are recommended! 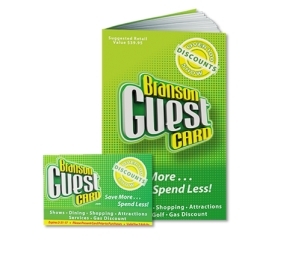 You save up to: $238.77 (71%) off! You save up to: $138.77 (41%) off! 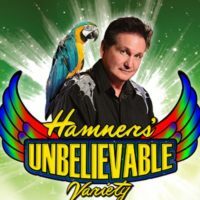 Branson’s Most Popular Family Morning Show! 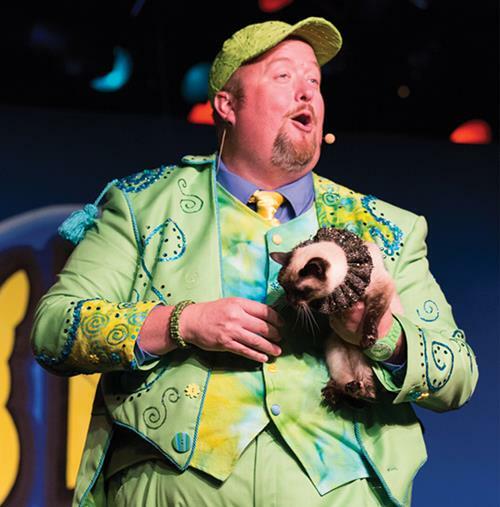 One of Branson’s most popular family morning shows, the Amazing Pets show provides humorous and entertaining antics by some of the most amazing animals and performers you’ll ever come across! Morning Fun for the Whole Family! Start your day off with a show that the kids (and adults) will love! This early production allows you to fit the rest of the things you want to do in your schedule – so you can still catch an afternoon or evening show or spend some time at many of the other attractions or things to do in town. 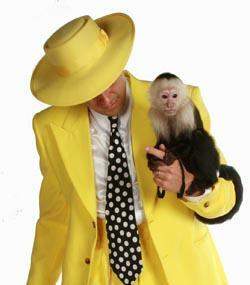 Animals of All Kinds – Dogs to Monkeys! 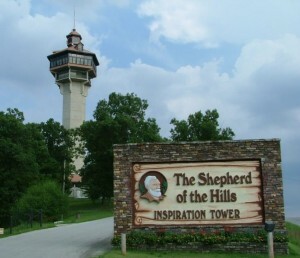 Filled with a menagerie of different types of animals (many that have been rescued from animal shelters and humane societies) it’s something you won’t want to miss on your next visit. 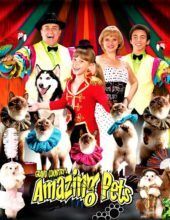 There are trained house cats (that’s right, they’re actually trained), exotic and beautiful birds, dogs, and even a monkey that will keep you laughing and smiling throughout the whole show. You will be amazed with what you see these furry and feathery creatures can do! 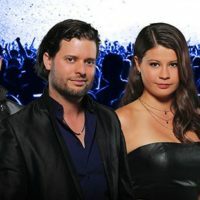 A Variety Show You Will Love! 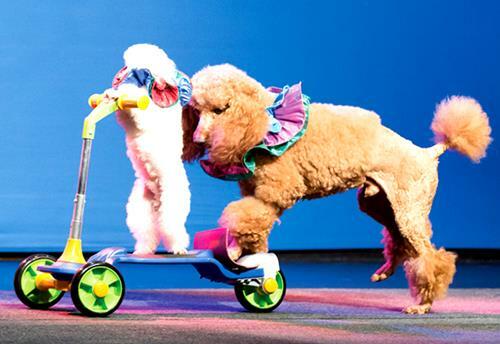 While the pets and animals take center stage, there are a variety of acts that provide variety to the production. 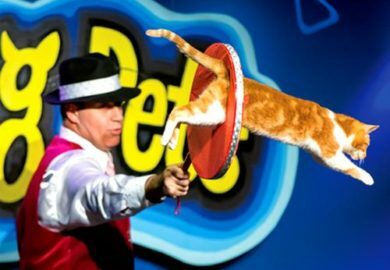 From comedy to juggling – you will just have to see for yourself some of the great entertainers. 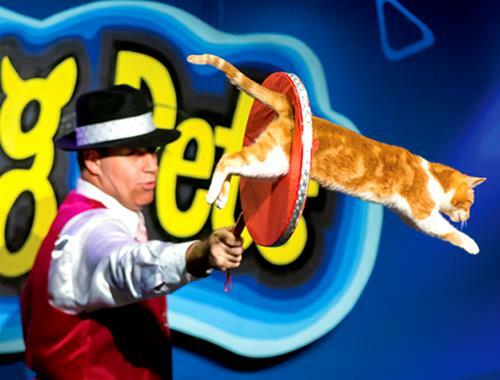 Master of ceremonies and animal trainer Sean Paul will take you and your friends and family on a fun-filled trip of entertainment and excitement during your time with him and the rest of the cast in one of the most amazing pet shows you will ever see. 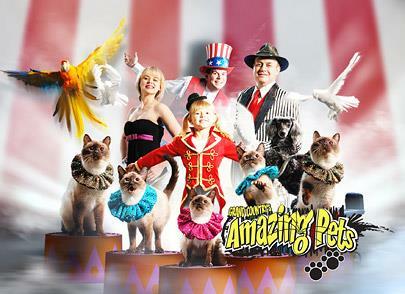 It has been recognized for its superb value and even won the “Best Specialty Show” by Branson Critic.